Council votes for resolution calling on the Maryland General Assembly to pass the Clean Energy Jobs Act and remove clean energy subsidies for trash incineration. Residents gathered at City Hall before the vote to demand an end to this practice of greenwashing and subsidizing pollution. BALTIMORE, MD — On January 14th, a group of Baltimore residents, city Councilmembers, faith leaders, and environmental advocates rallied to demand the end of public subsidies for trash incineration in the state’s Renewable Portfolio Standard. 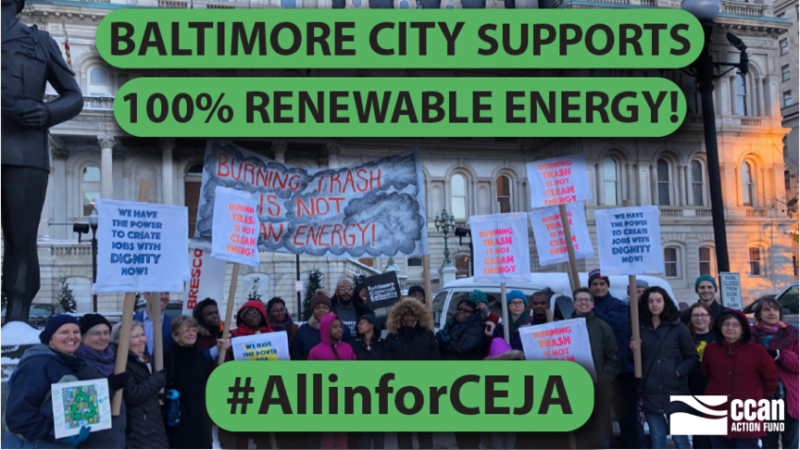 That evening, the Baltimore City Council passed a resolution calling on the Maryland General Assembly to pass the Clean Energy Jobs Act (CEJA) this legislative session. Burning trash is not clean energy. When incinerators burn trash, they emit more greenhouse gasses per unit of energy generated than even coal, the dirtiest of fossil fuels. But Maryland subsidizes trash incinerators in our state’s Renewable Portfolio Standard (RPS) – wasting taxpayer money that that is meant to promote wind and solar power. CEJA will double the state’s renewable energy requirement while terminating clean energy subsidies for incinerators, including for the BRESCO trash incinerator. This unjust and illogical policy flaw must be remedied so that we can build a just transition from incineration to zero waste and so truly clean energy sources can grow and thrive in Maryland. More clean energy means healthier communities, cleaner air and water, less climate pollution, and thousands of new jobs. Maryland can get to 100% renewable energy and stop subsidizing polluting facilities like BRESCO by passing the Clean Energy Jobs Act. 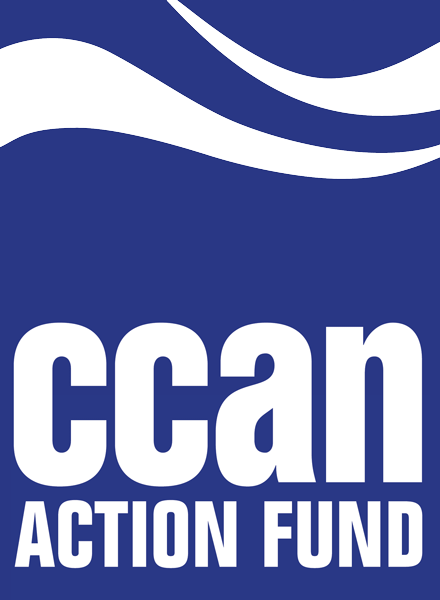 CEJA will remove subsidies for trash incineration from the RPS in 2020; ensure that 50% of Maryland’s electricity comes from renewable sources by the year 2030 and set the course for 100% renewable energy by 2040; expand clean energy workforce development; and fund clean energy businesses owned by women, veterans, and people of color. In Baltimore, an incinerator company tried to build what would have been the nation’s largest trash-burning incinerator less than a mile away from a high school. This proposal was enabled by the state’s subsidies, which offset the high costs of building new incinerators. Years of community resistance and youth-led organizing stopped that incinerator before it was built. But Baltimore’s existing municipal trash incinerator, BRESCO, continues to be propped up by these unearned subsidies.